Many people have a reason for their choice of profession and that reason is usually simple and relatable, like following in the footsteps of a parent, feeling an emotional connection to the work, or being inspired by an idol. The same goes for actors. A-Listers like Laura Dern and the Gwyneth Paltrow probably act because their parents did. The same could be said of legendary director Francis Ford Coppola's nephew Nicolas Cage, who also happens to cite James Dean as the inspiration for his vocation. Meanwhile, Dustin Hoffman tells the story of dining with Sir Laurence Olivier and asking him, "What makes us do what we do?" In response, Olivier apparently leaned in and repeated the phrase, "Look at me." But not all actors strove to be peacocks. There are those that have very unorthodox beginnings in the industry. Some used acting to overcome emotional or psychological distress, whereas others came upon the profession accidentally. Perhaps most interestingly, many of the following actors still lean on their initial inspiration to guide their careers years later. Here are the actors who started acting for bizarre reasons. Starting out as an actor can be isolating and lonely, but Joaquin Phoenix had it a little different. He started out with his entire family. "My mom got a job at NBC. And then through her boss we were introduced to an agent," he said in an interview with The Guardian. "She was the only agent who would take all five of us because my parents didn't want us to be split up." When Joaquin thinks about his first moments in front of a camera, he lights up. "Instantaneous joy. The most enjoyable thing," he told The Guardian of the experience. "For some kids, it's the first time they crack a ball or score a goal. For me, it was this. I was eight years old, and I remember the first scene on the TV set so vividly." From there, the Phoenix family would take on commercials, TV shows, and after school specials. 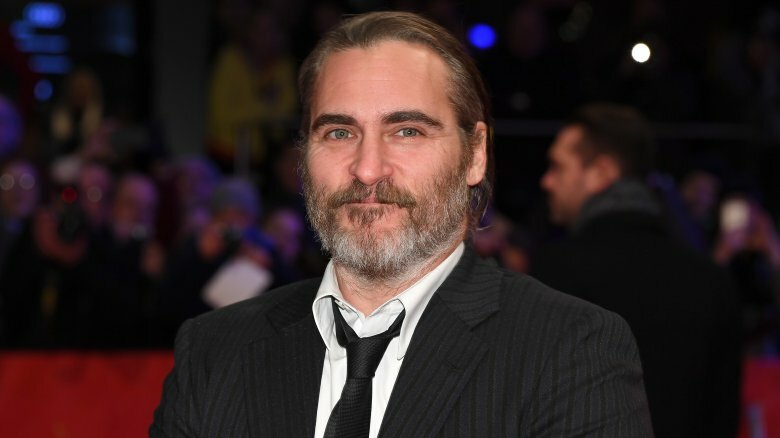 Over the years, however, Joaquin has shown himself to be a bit of anti-celebrity by calling out the industry awards and taking extended breaks from acting, but he insists that he's never fallen out of love with acting. In fact, it's just the opposite. That early love for the craft is what keeps him going. "I knew that I loved it — the physical sensation; how powerful it was," he told The Guardian. "That's the feeling I've been chasing ever since." You wouldn't know it by hearing her speak today or hearing her sing in Mary Poppins Returns or Into the Woods, but Emily Blunt grew up with a rather severe stutter. "A stutter can be like a straitjacket," she told NPR. "I struggled with vowels, so 'Emily' was like the depths of hell for me." But the worst part for Blunt and many others with stutters is the bullying and teasing. "I was a smart kid, and I had a lot to say, but I just couldn't say it," she said in an interview with W Magazine. "It would just haunt me. I never thought I'd be able to sit and talk to someone like I'm talking to you right now." But then she found a therapeutic outlet. Having witnessed her "doing impersonations of people," a perceptive teacher encouraged Blunt to join the school play. Speaking with People, Blunt recalled how her initial hesitation somehow led to her taking the chance, which in turn led to a surprising realization. "I did the play in a stupid voice and spoke fluently," she told the tab. She then progressed from being able to ditch the stutter while in character in general, although she still periodically suffers from the communication difficulty. 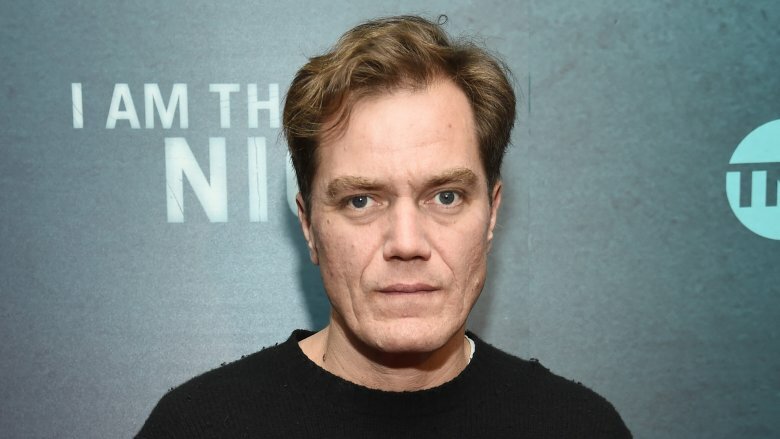 Michael Shannon made a career out of playing damaged characters. He has a knack for showcasing the inner turmoil and torment of human beings. It seems that he's chosen these troubled roles over and over again for a reason. "I started acting because I was miserable and crazy and wanted to be someone else, to run around and scream in front of people without getting in trouble," he explained to The New York Times. But it might go deeper than that. For Shannon, playing perturbed characters allowed him to gain a different perspective of what it meant to be human. "One of the reasons I got into acting to begin with is that I was trying to figure out how life worked," he said in an interview with IFC. "It was interesting to me to try and follow how other people, real or imaginary, would deal with problems, because I was trying to deal with my own problems." Shannon goes on to explain that experiencing problems can make people alone or secluded, so by showcasing these issues in his character, his work becomes constructive and connective, giving people a mirror to see themselves through. When Ted Danson got to university, he had aspirations of trying out for the basketball team. He had played some ball in prep school and proved himself to be pretty good. According to Danson, however, when he showed up to tryouts at Stanford University, he looked out at the other players and said to himself, "Oh, okay, this is a different game." But all was not lost. "There was a depression for about six, seven months," he told Conan O'Brien. "But then … I saw this young lady, who was serving in the cafeteria, named Beth. I really wanted to ask her out, and she finally said yes, and we went and had a cup of coffee." That's when, as he explains, that Beth cut their date short because she had to go to an audition. Danson, who claims he didn't even know what an audition was, "wanted to go with her." 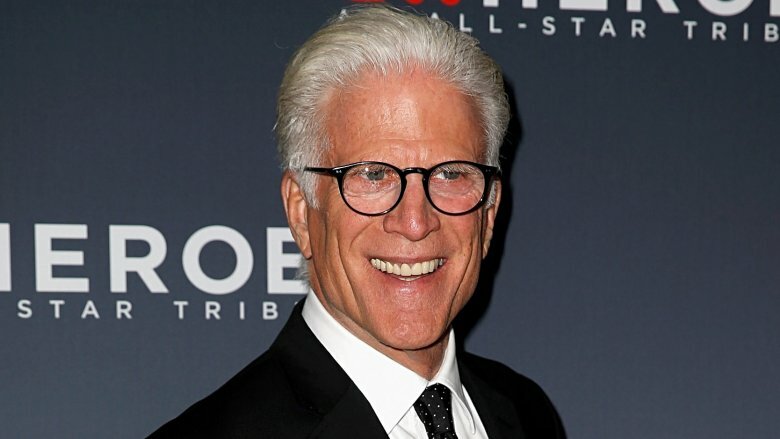 When he got there, Danson discovered that "to be in the room, you had to audition. So I made something up, people laughed, I got the smallest part you could get in the play and still be in it." Afterward, he remembers thinking, "It's not basketball, but it's not bad." Many experts look at childhood trauma as a personality shaper. The scars we carry from our younger years, whether we consciously recognize them or not, may have a way of moving us in certain directions in our later years. 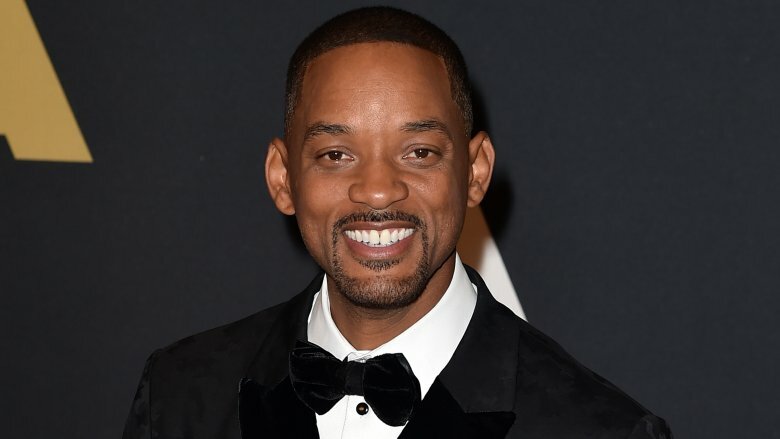 Well, Will Smith is aware of the trauma that made him into the superstar he is today. He credits this massive life-changing moment as the fuel that not only drove him into show business, but the thing that propelled him to become one of the biggest names in the world. "When I was 15, my girlfriend cheated on me," he said while speaking to Benicio del Toro for Variety's "Actors on Actors." "From that moment, in this bizarre psychological twist, I wanted to be the most famous entertainer on Earth because I believed that your girlfriend couldn't cheat on you." Yet, for Smith, this was more than just fuel for his passion, it became a way for him to connect to his characters as well. "I'm always looking for that in my characters," he said. "What's the bizarre psychological leap they make based on some trauma?" 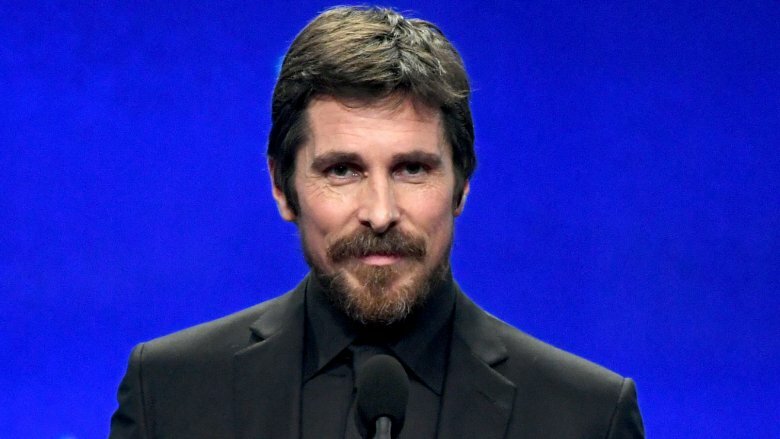 With a long list of Academy Award and Golden Globe nominations and wins under his belt, it seems that Christian Bale knows how to pick roles. He's become one of the industry's brightest lights, and, though his performances are a big part of the reason his films do so well, he does get opportunities that others may not. However, being in that position is Bale's just deserts. "I have been fortunate enough now, but it hasn't always been the case," Bale told PTI (via The New India Express) in November 2018. "In fact, I started acting because my family needed the money. It was the only way we could support ourselves. So, we did not have that option." Now, plenty of people started acting for the money, so that part doesn't make Bale special, so to speak. What does, however, is that Bale was only 11 years old when he started. While Bale shouldered the financial responsibility, that pressure hurt his passion and drive as well. "There's a pride in being able to do that," he said to The Hollywood Reporter. "But there's also a prison, you know, at such a young age." It's partly because of this early "love-hate" relationship with acting that Bale refuses to take choice for granted at this point in his career. "Since I am able to choose," he explained to PTI, "I owe it to myself and to the audience to try to choose interestingly and as well as possible." 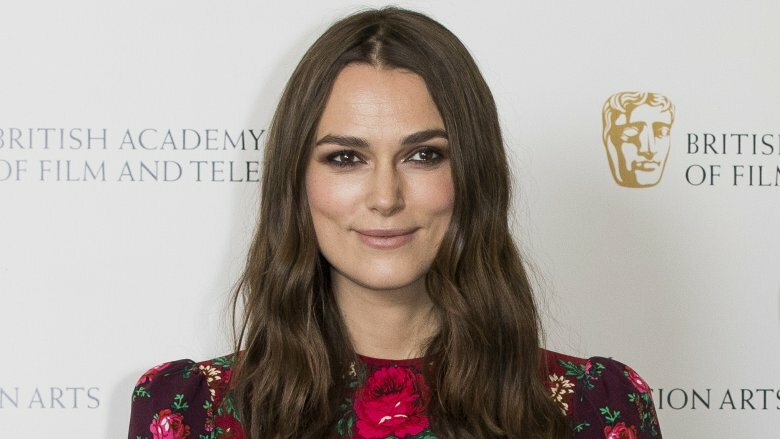 While Keira Knightley might have found her way into acting another way at a later date, it was partly because of her fight with dyslexia that she gained entry into the profession at such an early age. According to her, she knew she wanted to become an actor from the beginning. In an interview with GQ, Knightley claimed that she "demanded an agent at [the age of] three … and got one by the age of six." But the way she truly won her parents over was by promising them that she would work through her challenges brought on by dyslexia, according to The Telegraph. "I was really lucky because I had acting," she said to the BBC. "It was like a carrot being dangled in front of me because I had to be able to read those lines in order to do it." Knightley also aspired to be like actress Emma Thompson, who she idolized and who worked with her mom on the film, Sense and Sensibility. Knightley told The Telegraph that her mother would use Thompson as a motivator, saying to the young aspiring actress, "If Emma Thompson couldn't read, she'd make [expletive] sure she'd get over it, so you have to start reading, because that's what Emma Thompson would do." 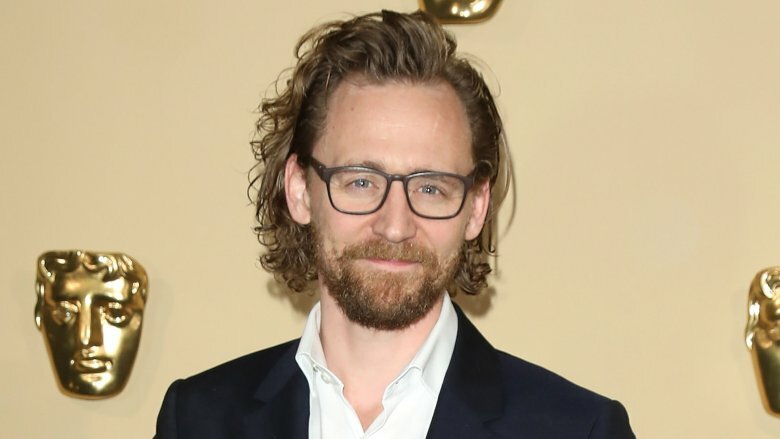 Tom Hiddleston comes from a wealthy family and enjoyed an elite education, studying at Eton College and then Cambridge University, according to The Telegraph. But that's not to say that, as a young teenager, he didn't experience his fair share of personal issues. While he was away boarding school, his parents were divorcing. Looking for a cathartic release, Hiddleston turned to acting. "I think I started acting because I found being away at school while my parents were divorcing really distressing," he said in an interview with the Daily Mail. "I was really quite upset, and probably very sad and vulnerable and angry. Acting presented a way of expelling those feelings in a safe place." Though he admits that he didn't gain this perspective until years later, he is still clearly drawn to the emotional gamut that actors have access to. "The way I see it, life is about trying to get to a place where you feel happy with the chords that you are playing," he told The Telegraph. "I'm lucky because I can experiment with all the different notes, via my work." 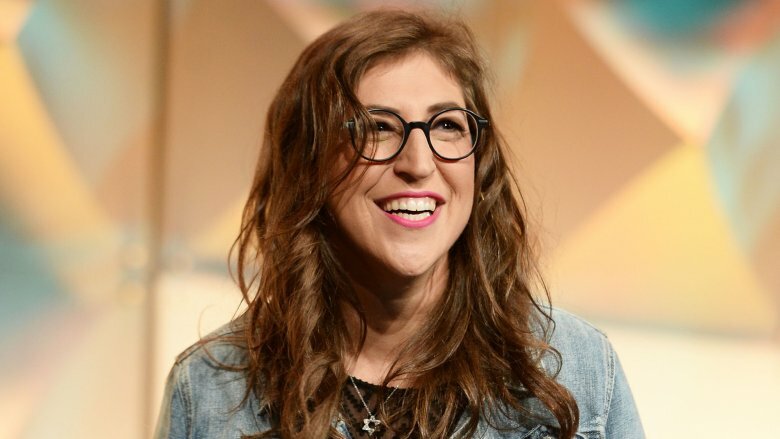 Though Mayim Bialik was a star when she was younger, playing the title character in the TV series Blossom, she left Hollywood after the star-making roll and enrolled at UCLA. She eventually earned her Ph.D., and while she continued to do some voice work here and there, she stayed away from the major roles and the spotlight for several years. But after she had a child in 2005, Bialik decided to come back to acting, if only for the benefits. "If I could even get a couple of acting jobs here and there, and if it's enough to get you your Screen Actors Guild Aftra health insurance, we would at least have insurance," she said on Popcorn with Peter Travers. "I was teaching neuroscience for about five years. And I was not expecting to be a full-time actor. But this show called The Big Bang Theory brought me on." As bizarre as this sounds, Bialik's not the only star to return to the spotlight for health insurance. Ian Ziering told ABC News that he took on Sharknado in order to qualify for "type 1 insurance." Like Bialik, Ziering's decision turned out to be a very wise financial move. 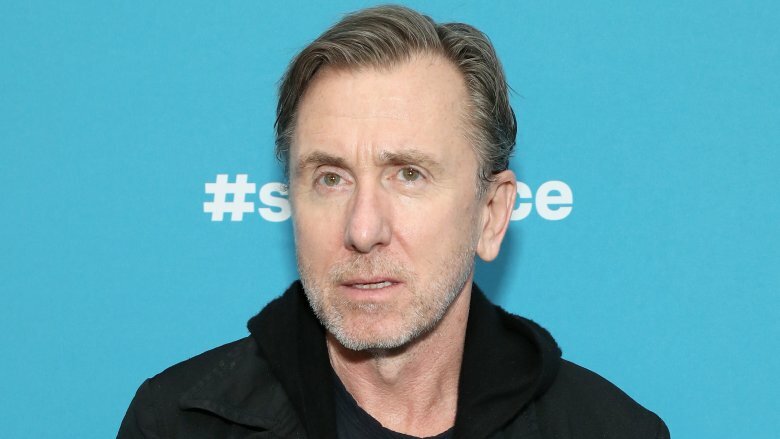 Tim Roth's acting career doesn't have a grand origin story. In fact, his first encounter with performance is the stuff of nightmares. It's a wonder that he stuck with the profession at all. In speaking about his childhood introduction to acting on The Bonnie Hunt Show, Roth described his first musical called "Dracula Spectacula." Roth and his friend decided that it would be "hilarious to mess up the audition." Though he tried to muck it up, he failed and ended up landing a role instead. But Roth didn't shirk his responsibility, so he took the stage "in front of all the school bullies." But we remind you. This isn't your traditional inspirational tale story. Roth is no Rudy. "I actually peed myself," he said. "I was that scared. I knew I was going to get beaten up later. And I did." But there is a bit of a happy ending here. While Roth may have been traumatized during his foray into acting, he also found his passion on that stage. "While I was peeing myself," he says proudly. "I got bitten by the acting bug." In a very open and refreshingly honest interview with Rolling Stone, Emma Stone revealed that she suffered from near-debilitating anxiety and panic attacks as a child. "My anxiety was constant," she said. "I would ask my mom a hundred times how the day was gonna lay out. What time was she gonna drop me off? Where was she gonna be? What would happen at lunch? Feeling nauseous. At a certain point, I couldn't go to friends' houses anymore — I could barely get out the door to school." While she would try out and discover several different methods for controlling her anxiety, such as therapy and writing, she found that acting was one of the best ways to manage her disruptive thoughts and feelings. "I started acting at this youth theater, doing improv and sketch comedy," she said. "You have to be present in improv, and that's the antithesis of anxiety." Pretty soon after, she had lost herself in her love for acting. Her panicked thoughts soon turned to daydreams of Hollywood, and she was no longer saddled with anxiety. 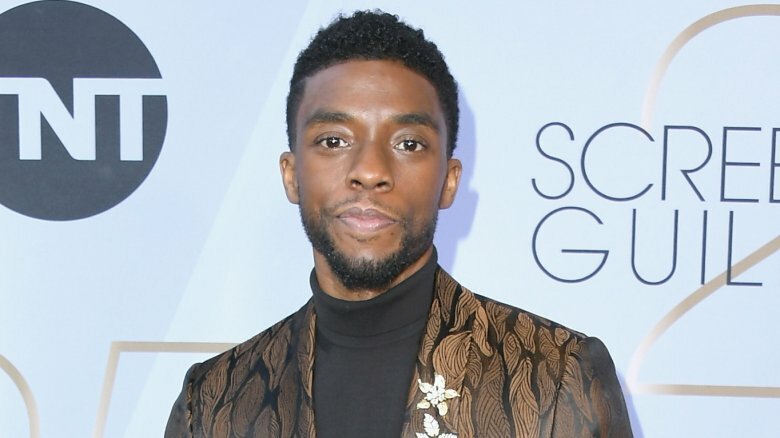 Long before he starred in Black Panther, one of the highest-grossing movies of all time, and even before his breakout performance, playing Jackie Robinson in 42, Chadwick Boseman was a director and a writer. Truth be told, he didn't even really want to become an actor. "I started acting because I wanted to know how to relate to the actors," he explained to the Santa Barbara Independent. "When people ask me what I do, I don't really say that I'm an actor, because actors often wait for someone to give them roles. I'm an artist. Artists don't need permission to work. Regardless of whether I'm acting or not, I write." Now that he's taking lead roles in award-winning films, Boseman might consider himself more of an actor than before, but his thought process is well grounded. "It took me being at Howard [University] and having a directing adviser and teacher who didn't believe that you could learn how to be a director without learning how an actor thinks and works and how to talk to them," he said in an interview with Esquire. "I became an actor because I was just trying to learn the whole process." It turns out that he has stayed an actor because he's really good at it.